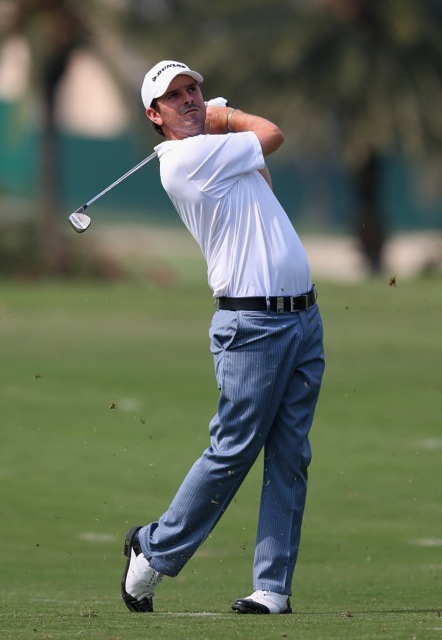 Thomas Aiken’s win at the 2013 Avantha Masters at the Jaypee Greens Golf & Spa Resort in Dehli, India continues the dominance of South African golfers so far on this year’s European Tour. Rounds of 67-69-62-67 helped Aiken to his second European Tour title and become the sixth South African to win a regular tour event from ten events this season. The 29-year-old from Johannesburg, who took a three-stroke lead into the final round, held off a spirited charge from local favourite Gaganjeet Bhullar to win with a four-day 23-under-par total of 265. India's Bhullar, 24, came out all guns blazing with birdies on the first three holes and an eagle on the fifth and kept the pressure up on Aiken. However an eight-under-par 64 was enough to overhaul Aiken who finished three ahead, Liang Wenchong of China came third five shots behind the leader. “I’ve been playing very nicely the last four months, not making a lot of mistakes, but just not sinking enough putts,” Aiken said. Six of the opening ten season events have been played in South Africa, with five different local winners. However Aiken is the first to win outside of his home country. His win has shot him up to 14th in the hotly contested Race to Dubai ranking where nine South African’s make up the top 25.